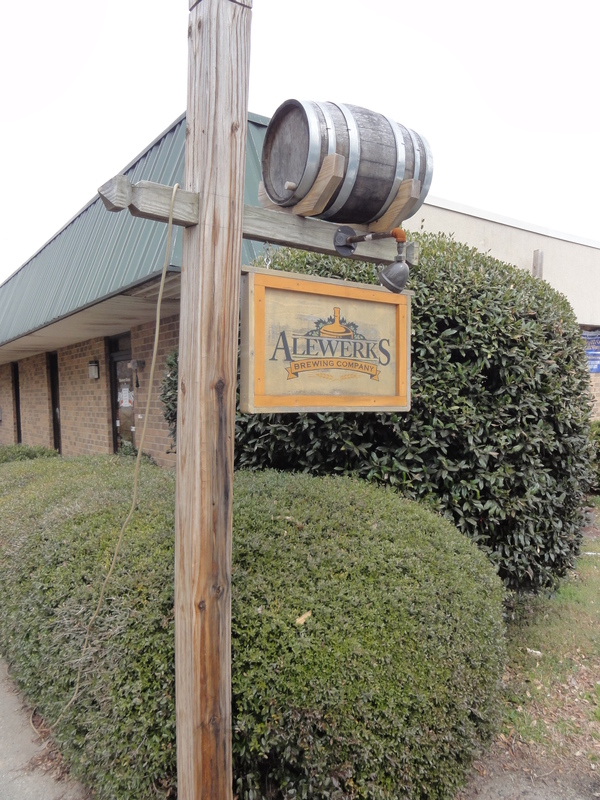 AleWerks offers a solid line of six year-round ales: Wheat Ale, Red Marker Ale, the American Brown styled Tavern Ale (the first beer they brewed upon opening 7 years ago), Washington’s Porter, Chesapeake Pale Ale and Drake Tail IPA. While the Drake Tail boasts use of 7 different hops, Corbin shared that Geoff’s approach is always focused on hop balance and character. In addition, you can please your palate with three seasonal ales. 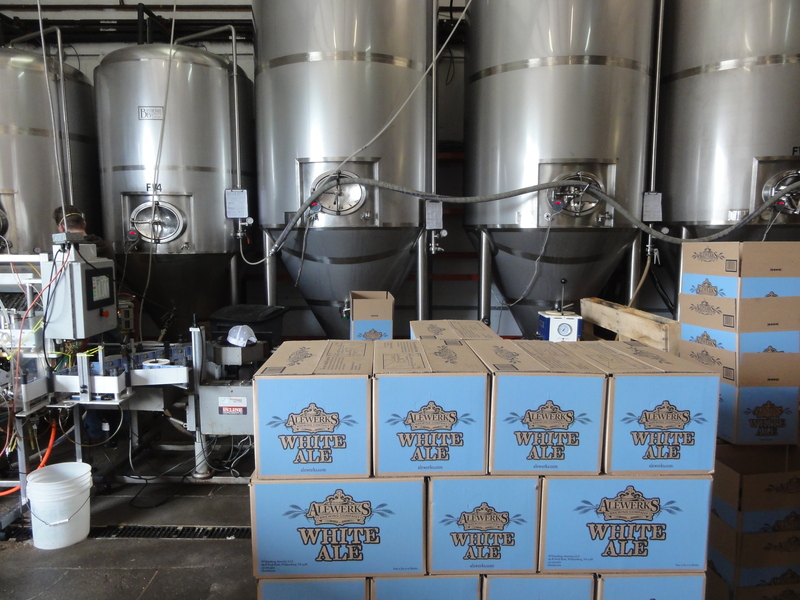 Upon our regrettably brief visit, the brewing staff was busy packaging their spring seasonal White Ale which features traditional additions of coriander and bitter orange peel. Fall sees the brewing of their Pumpkin Ale and winter the Coffeehouse Stout which makes use of Lactose and 30lbs of Guatemala Antigua coffee in each batch. 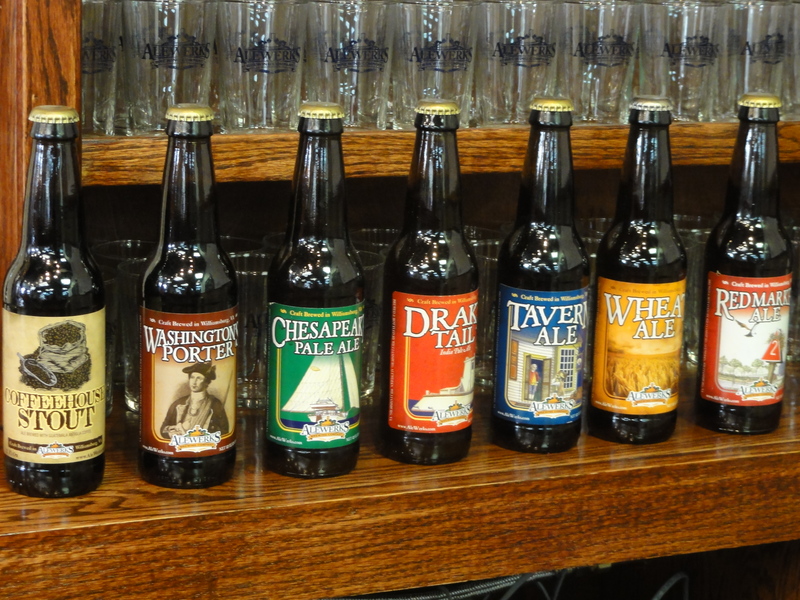 Each of these beers is packaged in six packs of 12 oz bottles. The bottling line that turns out about one case per minute has been in use since they opened. When all the work is done producing the flagship year-round and seasonal beers, the brewers keep themselves busy with the limited release Brewers Choice beers. The Springhouse Ale is a nod to a Wallonian farmhouse ale with a second Belgian inspired offering provided by the Twenty Knots Tripel. Hop heads can get their fill from the sessionable Caledonia Scottish-style IPA or go big with the Bitter Valentine Double IPA, which was rated the best beer in VA last year on RateBeer. Two barrel aged beers round out the Brewers Choice series: Bourbon Barrel Porter is brewed with unrefined Caribbean sugars and aged in Virginia Gentleman bourbon barrels and those same barrels are used to age the Café Royal, an imperial coffee milk stout. Finally, the Grand Illumination Barleywine, Rapadou Porter with Haitian sugar aged in oak barrels, and Marley’s Lament Winter Warmer – previously known as Ebeneezer’s Christmas Ale but lost to Trademark – featuring cinnamon, clove, ginger, honey, and vanilla are let loose only once per year under the tag of Brewmaster Reserve. I said finally but that’s not exactly everything. 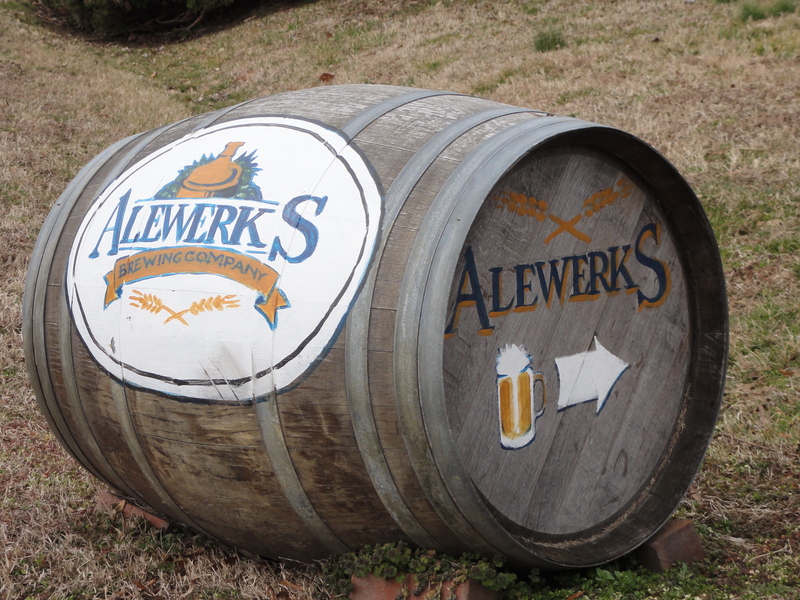 AleWerks also brews two beers in traditional styles for the pubs of Colonial Williamsburg, although they are not labeled under their brand. Imbibing tourists might do well to know that the Old Stitch Brown Ale and Dear Old Mum Spiced Ale are brewed in this facility. 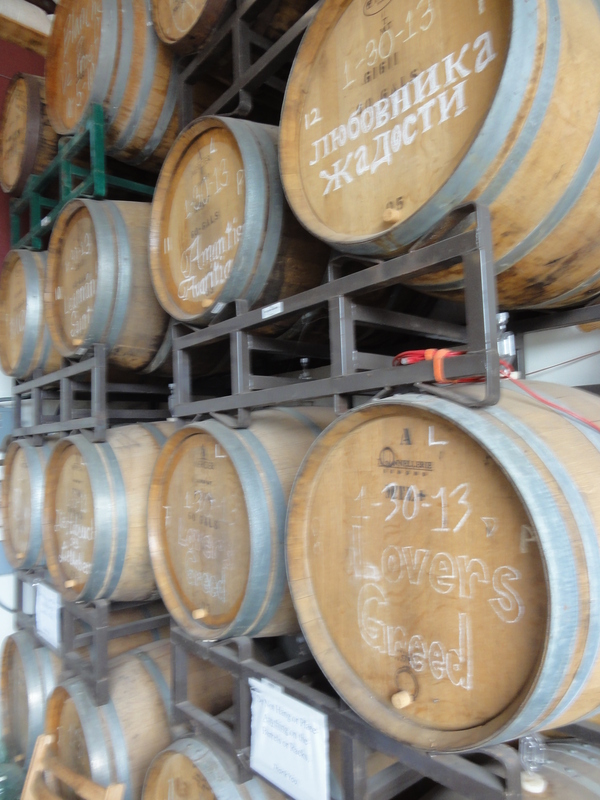 The brewery has even begun work on their very first sour ale, Lover’s Greed, which has been aging in white oak wine barrels from Williamsburg Winery since 1/30/13. The brewing staff had some fun with it and translated Lover’s Greed into a variety of languages to label the barrels. 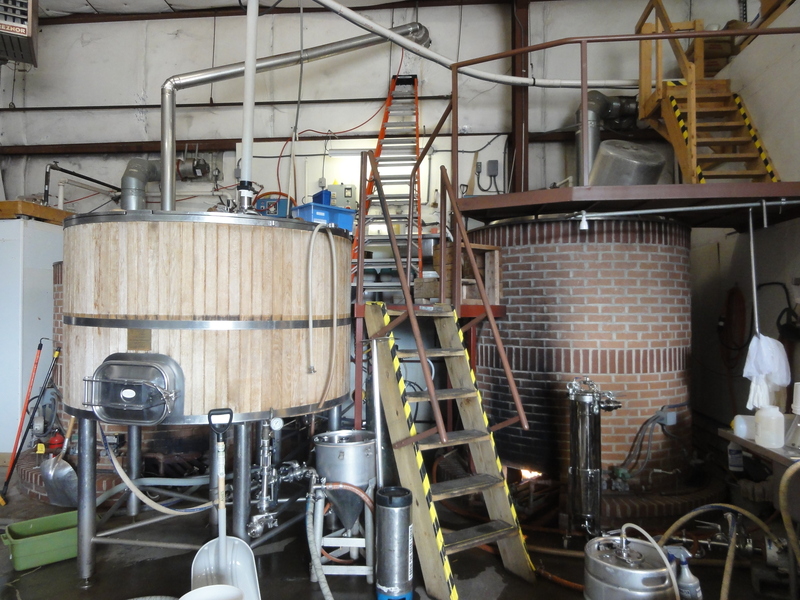 All told, the brewery produced around 3,200 bbl this past year and is looking to expand with a new warehouse space nearby and the recent addition of two Bavarian made 60 bbl fermenters that arrived about a week prior to our visit. 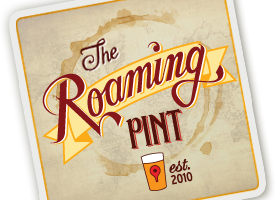 They jumped quickly on expanding their taproom about 7 months ago following a change in VA law that enabled breweries to sell full pints – rather than just samples and growler fills – and are looking to finish the extended bar with 10 additional taps soon. 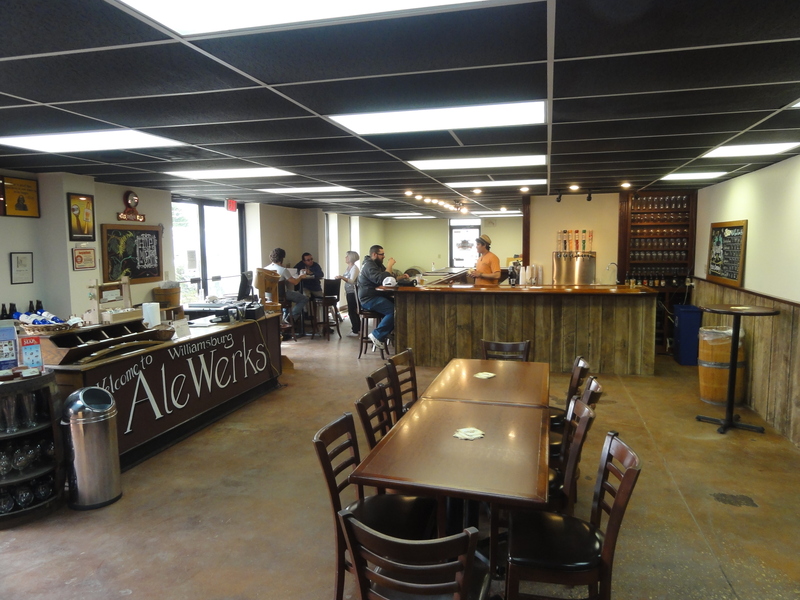 AleWerks beers can be found all throughout VA, Washington DC, and in parts of Philadelphia. 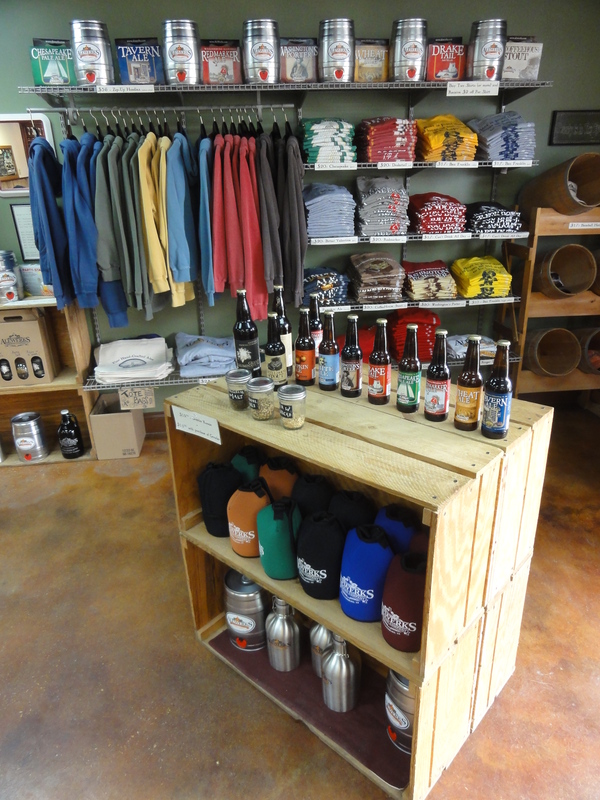 The brewery is open Monday-Saturday from Noon-5:30pm. 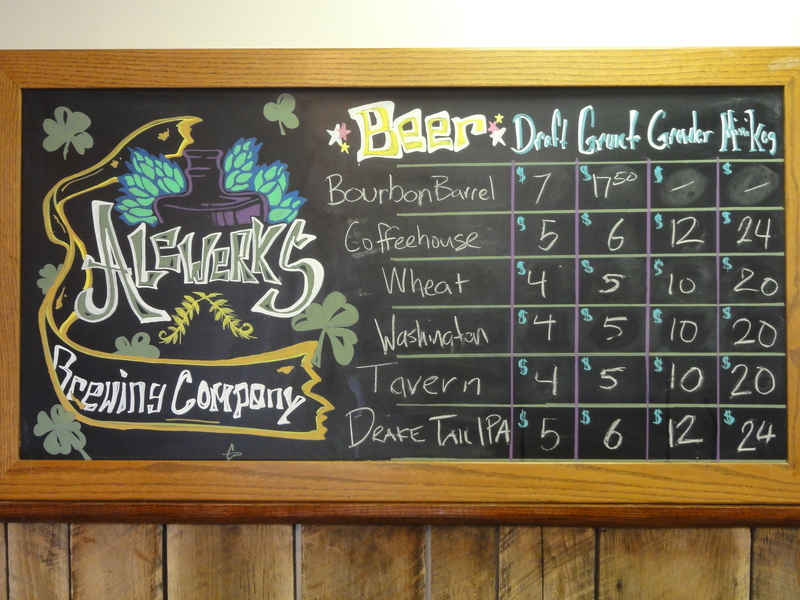 Sample tastings are available at any time of the six beers on tap for $4 or a guided tour is provided in addition to the tasting at 2 and 3pm for $6. Both options provide you with an AleWerks souvenir glass. If possible, reserve a space ahead of time online or by phone as tours are can fill up quickly, especially for busy Friday and Saturday hours. Something unique about the AleWerks experience is a guided tasting. 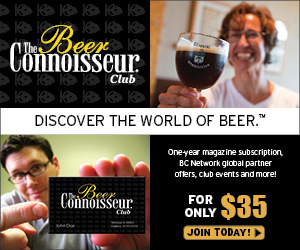 Rather than just being offered a sample flight, a knowledgeable staff member will walk you through each of their beers. 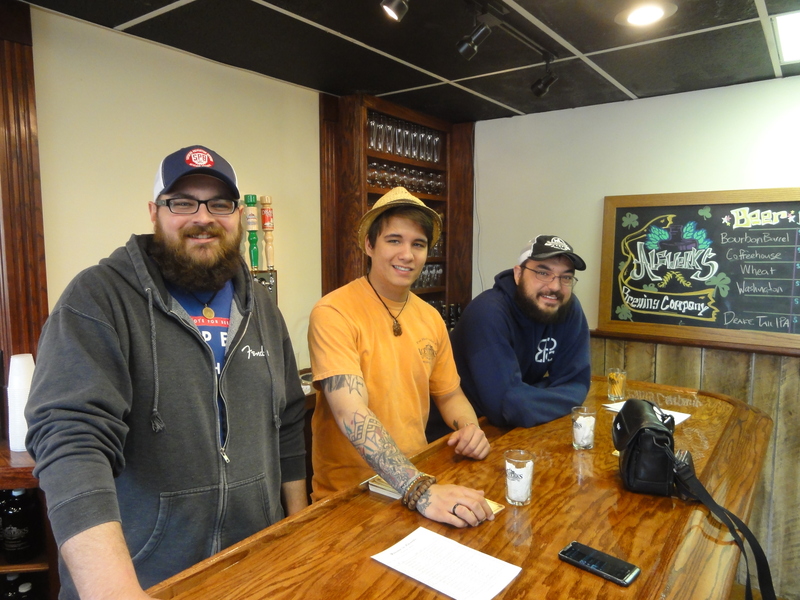 Thank you very much to Corbin for taking good care of us and sharing his in depth insight into the hand-crafted brews coming out of AleWerks Brewing Co.
Where /how an I get dear old mum? I live in Elizabeth City, NC and the only place I can find this is at Huzzah’s when at Colonial Williamsburg. I would love to know too! I tried Dear Old Mum this past summer and I am sad that I can’t find it anywhere except Williamsburg! I love the old stick, brown ale. I wish they had it around Lancaster pa.